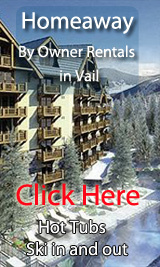 Find your own ski in and out by owner rental in Vail -click on this link! 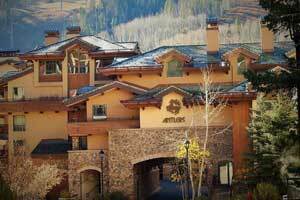 Vail By Owner Rentals - Our Blog! By Owner Rentals - Pick your own By Owner Vacation Rentals here for Vail from the full list - with hot tubs, ski in and out, instant booking, fireplaces! If you are bringing your pet and want to find petfriendly restaurants, daycare, local parks, check out www.petfriendlyvail.com ! 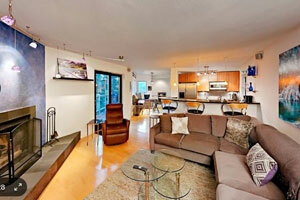 2BR, 2BA Modern & Mountain-View Vail Valley Condo – Near Village & Trails - 2 Bedroom 2 Bath, Sleeps 4, from $132 nt- Book it! VRBO 984402- The Stay within easy reach of shopping, spas and outdoor adventure at this gorgeous 2BR, 2BA (sleeps 6) Vail Valley condo. Enjoy sweeping mountain views, surrounded by sleek furnishings. 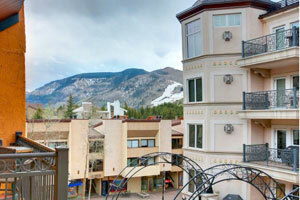 Located in Potato Patch, our condo is within minutes of Vail Village. INSIDE THE CONDO - This modern condo has room for 3 more cars to park in the driveway. From the driveway, walk down the sidewalk and up a few stairs to the front door. You’ll enter the tiled mudroom, with several hooks to hang your coats. 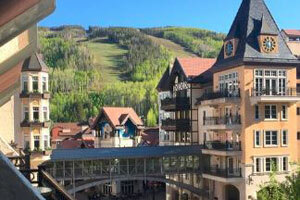 Studio Apartment, sleeps 4, at the base of the ski lifts at Vail-LionsHead - Sleeps 4- Studio, from $175 nt- Book it! Homeaway 3486180- This is a Real Vacation Rental by Owner, like it should be on here! Not some unavailable management company operated unit. Our Calendar is ALWAYS up-to-date, if it shows available then IT IS available! Don't hesitate to contact us. Top floor studio unit in Lionshead with beautiful sunset views and ELEVATOR! Located next to Arrabelle and just a 120Yards (41 seconds) walk to the ski lifts/ Eagle Bahn Gondola and Born Free Express lift in Lionshead Vail, Colorado. This property offers a fabulous deck overlooking Lionshead, gas fireplace and onsite hot tub. 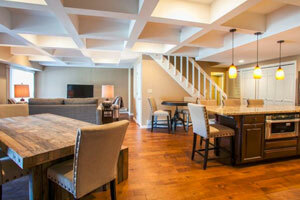 This property is in a premier location within Vail. Just steps to skiing, ice skating, fine dining and couture shopping. It sleeps 4 in one Queen Bed and one Queen Sofa-bed. 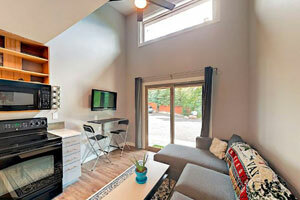 - Studio, Sleeps 4, from $175 nt- Book it! Marriott Streamside Evergreen - 2BR/2BA Sleeps 8- 2 Bedroom 2 Bath, Sleeps 8, from $350 nt- Book it! TRIP ADVISOR 9828299- The Marriott Streamside Evergreen resort is located 2 miles west of Vail Village / Lion's Head and has a free private shuttle that will drop you off closer to the lifts than most place you could stay in the village, free parking, free wireless Internet, and impeccable Marriott amenities and service. The resort is non smoking and pets are not allowed. - Master bedroom has a king-size bed, flat screen HD TV, and safe. - Large master bathroom with oversized Jacuzzi tub. - Second bedroom has double beds and flat screen HD TV. - Living room has a queen sleeper sofa, fireplace, and flat screen HD TV. 3 Bedrooms-2 Baths - Sleeps 8 -Ave. nightly $411 -Book it! vrbo 642023 -See the reviews!!! Located in the prestigious platinum rated Antlers at Vail. This wonderful three bedroom condominium offers a unique Vail lodging experience in an incomparable setting on beautiful Gore Creek, in Lionshead facing Vail Ski Resort. The best unit in the complex. Just 150 yards from Vail’s Lionshead Gondola and footsteps from the free in-town shuttle, this Vail property is conveniently located to Vail Colorado’s shopping, restaurants and nightlife. Our unit features an ideal quiet top floor corner location, ski valet, full kitchen, daily housekeeping, complimentary WiFi, heated underground parking and much more. Enjoy a cozy fire in your living room fireplace, admire the mountain view from your private balcony or relax in the picturesque outdoor pool or hot tubs. Vail is truly a year around vacation destination. This is a great family location. read more! Short Walk to Riverfront Gondola & Bus Stop to Vail & Beaver Crk, 2 Master Suites, Penthouse Condo!-4 Bedrooms 4.5 Baths - Sleeps 12 -Ave. nightly $396 -Book it! 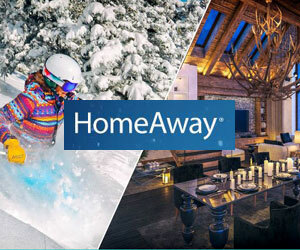 Homeaway 3860039-Condo was great and easily accommodated multiple families. Walking distance to several shops and restaurants. Condo was very secure. Great overall stay! Check in and check out was a breeze, would definitely recommend! Great Deal:2BR, 2BA Modern & Mountain-View Vail Valley Condo – Near Village & Trails - 2 Bedroom 2 Bath, Sleeps 4, from $132 nt- Book it!